Eternal AWS Team attended one of the annual conferences hosted for AWS enthusiasts, veterans and Solutions Architects. 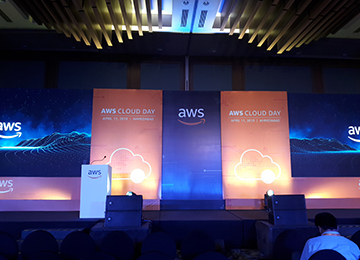 This was the conference focused towards introducing new as well as existing AWS Service to people who want to migrate there applications, softwares, products from traditional Infrastructure to Cloud Infrastructure as well as to those customers who already have their ideas running on AWS Infrastructure and can benefit by getting introduced to the New Services as well. 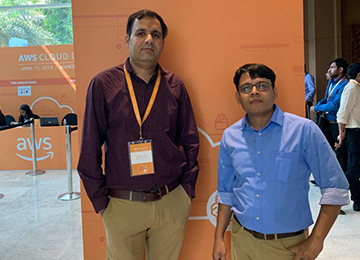 As AWS Consulting Partner agency, Eternal AWS Team wants to always stay updated to latest AWS Services and wants to know how to use them for achieving clients’ requirements in a more efficient way from both Infrastructural and Financial resource viewpoint. 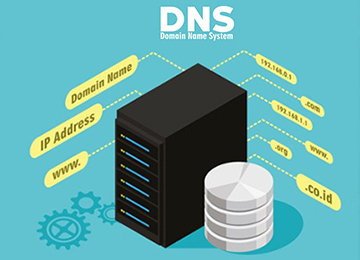 We believe that always being updated with the latest AWS knowhow anables us to adhere to our clients’ first vision. 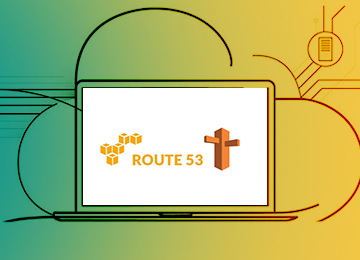 In this fast paced and rapidly changing era of technology we learn and embrace latest AWS Services as early adopters so that we can understand them, experiment with them, find the benefits it can provide us from using them and in the end how it can help us to achieve end-customer satisfaction. The conference had 3 sessions which focused to provide a basic understanding on multiple topics like Security, Best-Practices, SAP, using microsoft apllications on AWS Infrastructure, BIG-DATA, A.I, Machine Learning and such other things. 200+ delegates were present at the conference and the speakers were awesomely experienced and truly resourceful. The conference started with a dip of nostalgia as the Representative narrated the very Start of Amazon’s Legacy which was from a Garage in Seattle and then narrated the milestones through which the Company went; launch of Kindle, launch of AWS, NASA becoming their permanent clients, their Deepracer (an autonomous 1/18th scale autonomous race car) and other stuff. 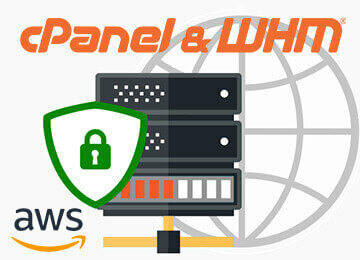 They talked about AWS Guard Duty Service which is a threat detection service that continuously monitors for malicious activity and unauthorized behavior to protect your AWS accounts and workloads. They talked about S3 storage service and how to use Lifecycles to manage your S3 Data and transfer less critical data to Glacier as time passes to reduce Storage related billing and other stuff. They talked about transferring microsoft applications and softwares to AWS infrastructure by using the BYOL policy which is Bring your Own license to AWS Infrastructure were you can bring your existing applications from your office premises into AWS Infrastructure and you can enter your existing microsoft product licenses so that you dont need to buy new microsoft licenses again. 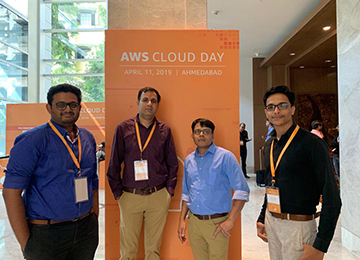 Here is a glimpse of AWS CLOUD-DAY with Eternal AWS Team !